Time has been flying by lately—it's hard to believe it's nearly Thanksgiving, and then I only have a few weeks left in NYC before I head back to Iowa for the rest of the holidays! Later this week, my roommates & I will be having all our "orphan" friends over to celebrate Thanksgiving & Hanukkah (as I'm sure you've guessed from my photos, I am not Jewish, but two of my roommates are!). That means my weekend is going to be filled with lots of exciting apartment cleaning, but it also gives me a chance to try to get our gallery wall finally put together. I'm thinking of adding in some mirrors, à la the photo above—they really open up the space and add a little something extra to the area (ours will be running down a long, partially open hallway). I'll be making these dinner rolls again for Thanksgiving. They've become a perennial favorite! Have you seen this live tweeting of a break-up? There are some questions to whether it's real, but no question that it's hilarious! I love Hallie's Postcards from New York City post—so many gorgeous photos of our beautiful city! This jewel-toned crossbody would be perfect for the holidays. As a pretty big film photography enthusiast, I'm in love with these colorized photos from the past that have been making their way around the web. This hand-painted mug DIY would make great holiday gifts! An (imaginary) letter from Michelle Obama to Kanye West. I've been getting in touch with my punk-kid roots lately, which means I really need these gold-spattered Chuck Taylors! Speaking of sneakers, I'm also lusting after these turquoise ones. 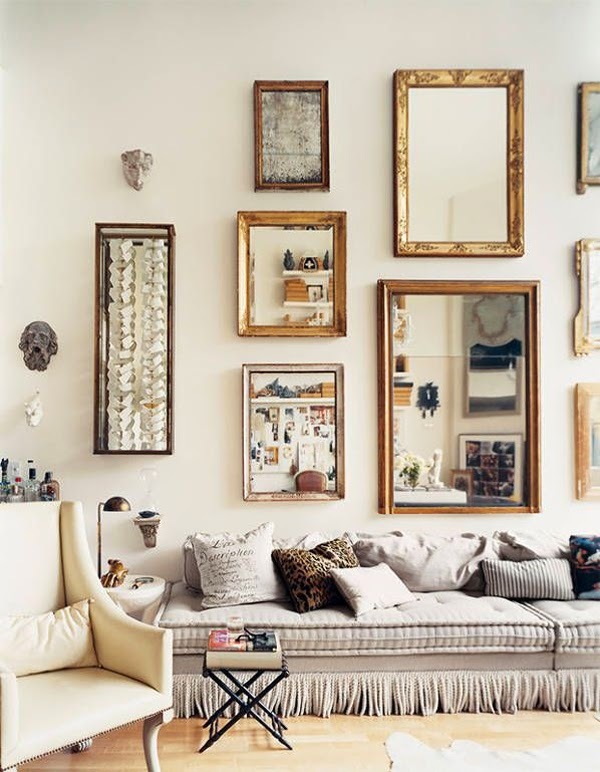 A tour of designer Charlotte Ronson's Manhattan apartment. Obsessively stalking Dreams + Jeans for her interior envy posts. They are all incredibly beautiful spaces!